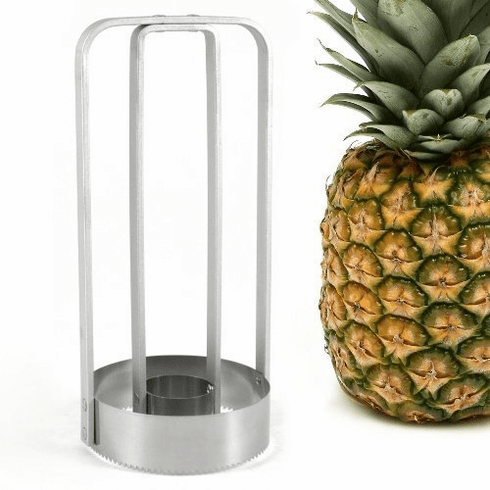 Quickly and easily prepare fresh pineapple with the Pineapple Prince pineapple cutter and corer. This handy, rust-free aluminum tool is designed to make cleaning a pineapple a simple task. Simply cut off the green top, and place the cutter centered on the fruit. Press lightly and evenly, and turn in a clockwise motion until you reach the bottom. Remove the cutter and slice off the bottom rind, and your pineapple is ready to eat.